Selecting and purchasing your first fly fishing combination can be both exciting and tortuous. There is an abundance of quality fly tackle available these days and it has never been more affordable. That’s a good thing. But there are so many options and so much hype it’s often tough to narrow down the choices, especially if you are not quite sure exactly what tackle you need to get started. You need some good advice to cut through the fluff. This is where a quality fly tackle shop can help. If you are considering purchasing your first fly fishing outfit, I strongly suggest you visit a reputable tackle shop rather than pull the trigger online. Good tackle shops are staffed with experienced anglers who understand the equipment they sell and recognize the needs of their customers. They know the difference between quality and value (there is a difference), and they won’t try to sell you more or less than you want or need. 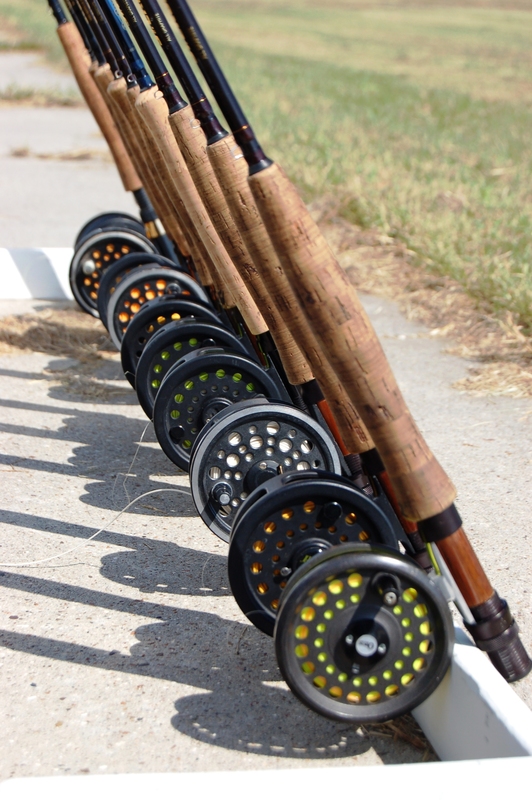 At a fly shop, you have the opportunity to try out the rods and compare the feel of different tackle combinations. This is a critical step in choosing tackle. The staff at a good fly shop will listen to your questions and they’ll do their best to guide you to a rod, reel, and line that fits your expectations and budget. They’ll also follow through after the sale. These things have value, and they are why I still buy nearly all my tackle from fly shops. When you finally get your hands on your new fly fishing rig, you’ll be thirsty to start casting. But you’ll quickly find out casting is a tough skill to learn on your own. Although I have always preached the benefits of self-teaching, fly casting is one arena where lessons (at least a few) from a qualified professional are extremely helpful. It may seem frivolous at first, but paying for a few lessons from a competent casting instructor is absolutely worth the money in the long run. 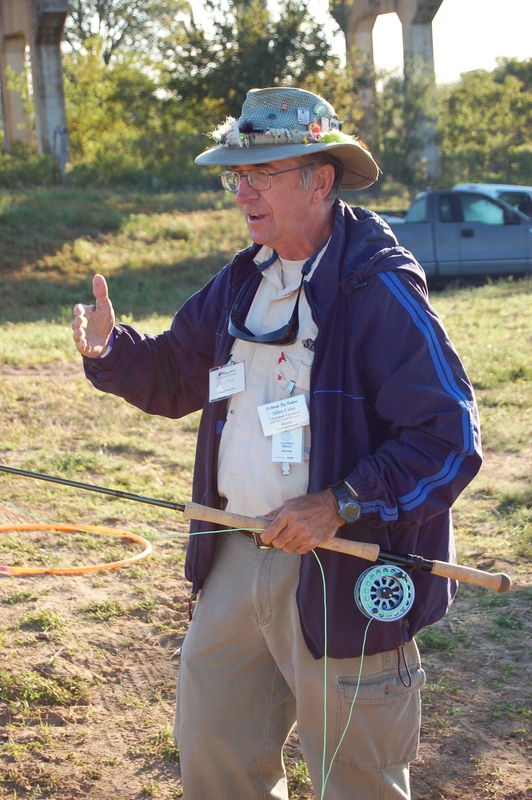 A good instructor will help you understand the mechanics of fly casting and help you develop your core casting stroke. These fundamentals get you off to a solid start and make growth and improvement over the long term possible. So where does one find a casting instructor? The Federation of Fly Fishers (FFF) is a place to start. The FFF is an organization that, among other things, tests and certifies individuals as casting instructors. This is done through a series of exams, evaluations, and certification steps. To become a FFF Certified Casting Instructor, individuals must have exemplary casting skills and they must demonstrate their ability to teach others these skills. The FFF places emphasis on a candidate’s ability to teach. You can visit them at www.fedflyfishers.org . After acquiring fly tackle and learning how to cast, many anglers become interested in learning to tie flies. Fly fishing and fly tying compliment each other perfectly, and the only thing more rewarding than landing a fish on fly tackle is landing a fish on a fly you tied. It’s a creative side of fishing that’s really cool. After nearly thirty years of tying flies, I am still as mystified and challenged by the promise of fly tying as I was the day I started. If you are interested in learning to tie flies, this is a good time to start. There have never been more tying resources, books, videos, and demo’s available. You can begin with a few books that cover the basics of fly tying. They’ll show you the fundamental tools, materials, and techniques used to create flies. But a more valuable way to learn is sit across the table from someone who is tying flies at a demo event. This way you can watch, take notes, and ask questions. Where are these events? One place to look is at a local fly fishing club. There are fly fishing clubs in every major city, and a bunch scattered in-between. Nearly all clubs sponsor monthly tying nights where club members get together and trade their latest fly patterns and tying techniques. If you are thirsty to learn more about the tools, materials, and skills required for tying flies, there’s your chance. Another resource is the fly shop. 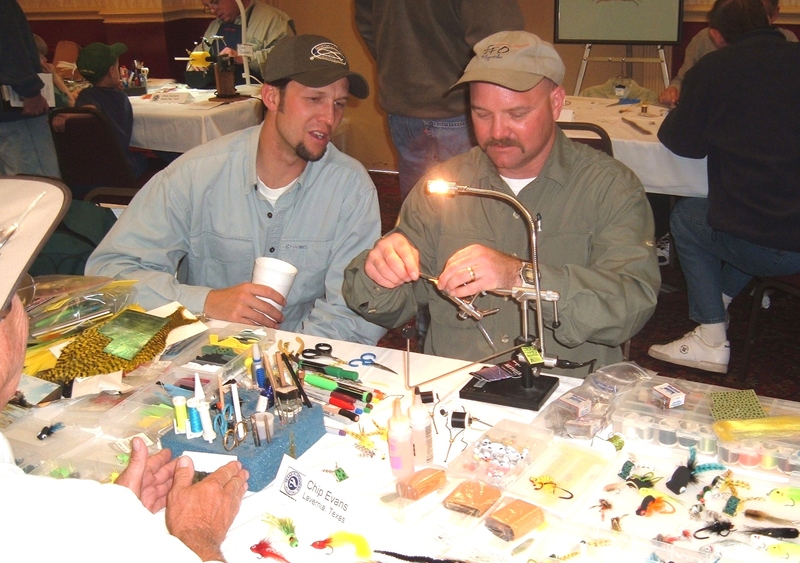 Many fly shops hold monthly fly tying seminars or sponsor annual fly fishing events featuring guest fly tyers. At these events you can watch flies being tied and purchase the tools and materials to tie them yourself. If you are interested in fly fishing, improving your casting skills, or learning to tie flies, there are plenty of resources available to help you. Some are around the block and others are only a phone call away. Many of them are free. Nearly all the fly anglers I know are willing to help out newcomers to the sport. They remember their first fly rod and the exciting possibilities it held. And they understand that everyone has to start somewhere.